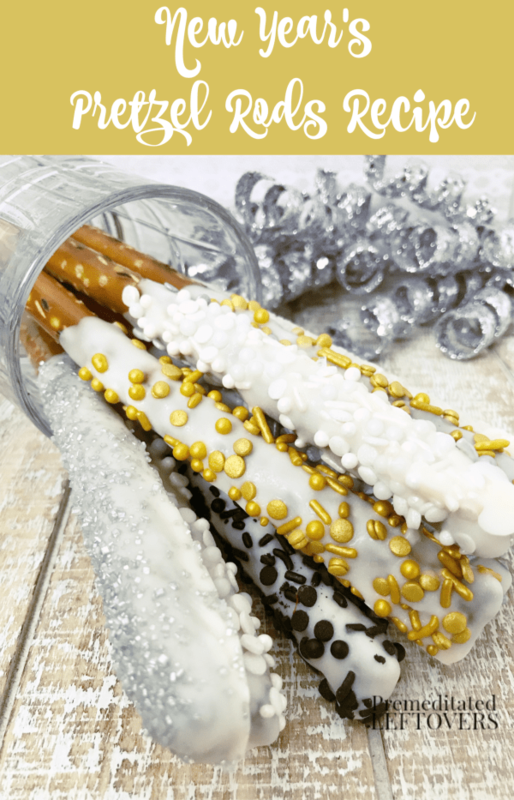 Add some sweet sparkle to your New Year's Eve table decor with this New Year's Pretzel Rods Recipe that is sure to be a hit with kids and adults alike! 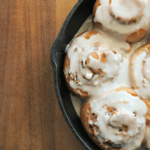 A simple and sparkling dessert is just the thing to add some pizazz to your New Year's Celebration. 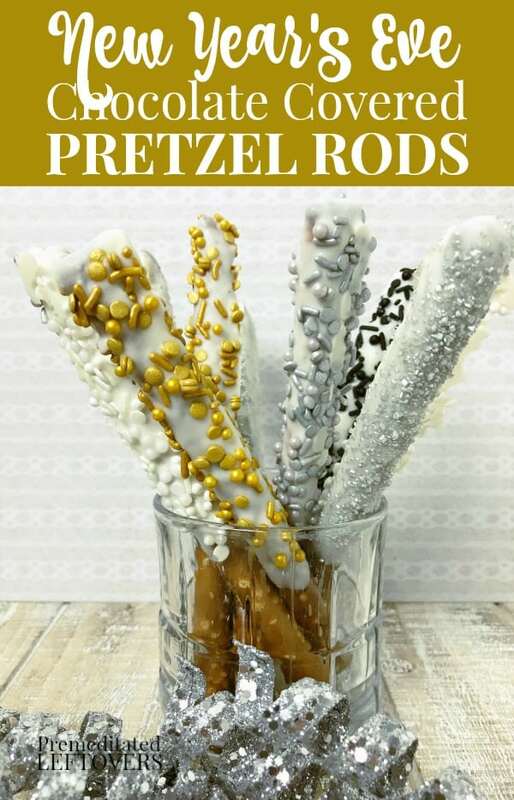 Whip up a batch or two of this New Year's Pretzel Rods Recipe to add to your dessert table while you wait for midnight to chime in. 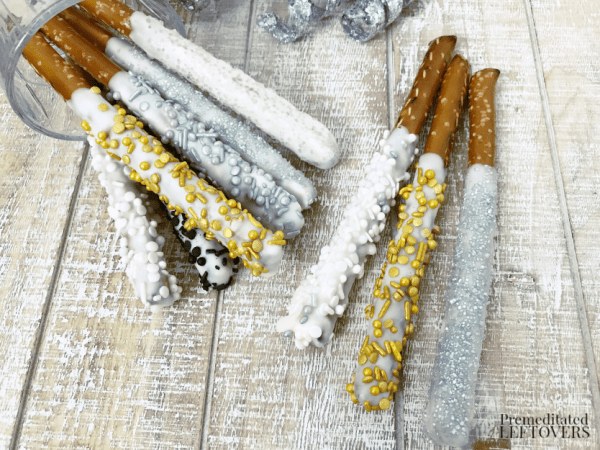 They are created with three basic ingredients: pretzel rods, white chocolate, and sprinkles. 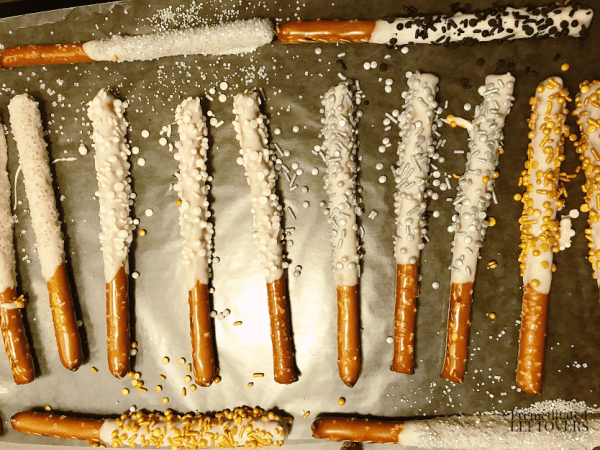 That is all you need to create these white chocolate dipped pretzel rods. 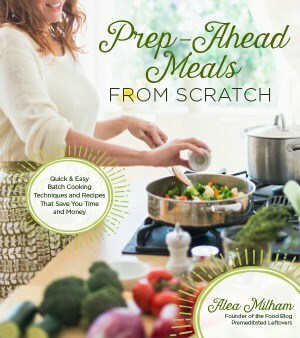 Melt the candy coating according to package directions giving special care not to overheat the candy. 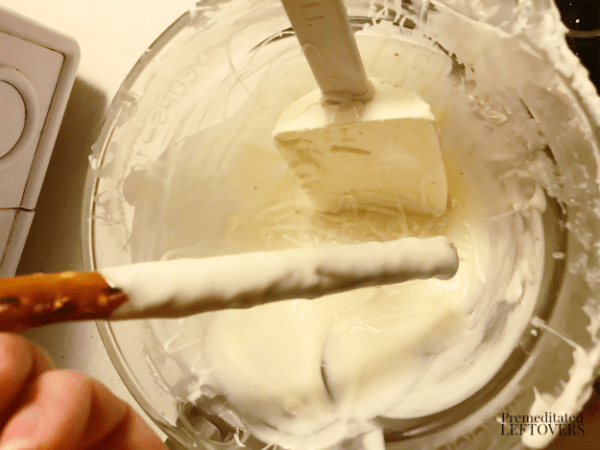 If the candy coating is overheated, it will be too thick. 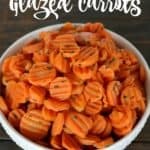 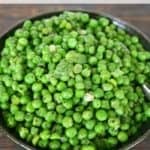 You can add 2 teaspoons of vegetable shortening to help thin the candy but do not add any other type of liquid as the candy will seize and harden.